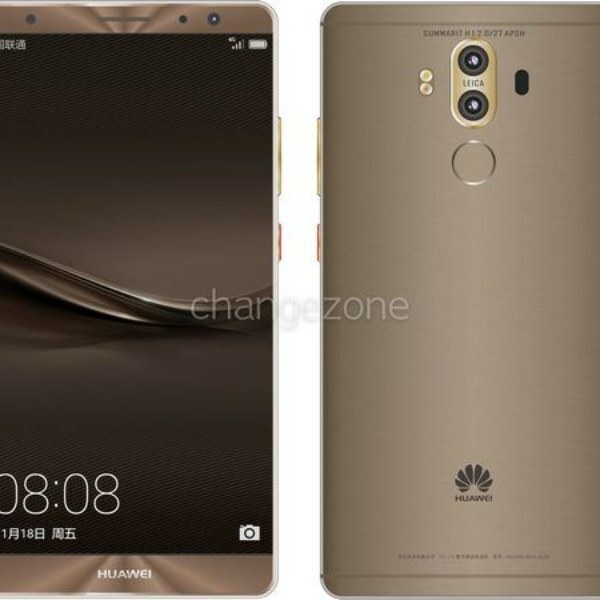 Huawei Mate 9 is the latest launch of Huawei and successor of Huawei Mate 8. It also comes in premium Porsche Design version. Huawei Mate 9 runs on Kirin 960 chipset and powered by Octa-core (4×2.4 GHz Cortex-A73 & 4×1.8 GHz Cortex-A53) Processor. for multitasking capabilities, it has 4GB RAM and 64 onboard storage. The phone has metal body along 5.9 inches IPS Full HD 1080p resolution display. The front is covered with 2.5D glass and the wieght of the phone is about 190g. About camera the Mate 9 designed with dual camera configuration, 20Mp f2.2 camera with a monochrome sensor and 12 Mp f2.2 color sensor. Both has optical image stabilization feature along laser autofocus, phase detects, depth and contrast detection features. For night photography it comes with dual tone dual LED flash. For videos, it also not going underestimate us as it is capable of 4K video capturing. Coming to selfie, for selfie lovers, it sports 8MP sensor with f/1.9 along autofocus. In terms of software. the Mate 9 runs on EMUI 5.0 based on Android 7.0 Nougat. To power this phablet, the phone built with a 4000mAh battery and supports 5A charger, The sensitive fingerprint sensor is placed at the back side under the dual camera. Huawei is going to release the Mate 9 phablet first in China, France, Germany, Italy, Japan, Kuwait, Malaysia, Poland, Saudi Arabia, Spain, Thailand, and the United Arab Emirates.